In the last week, Hurricane Harvey dumped 24.5 trillion gallons of water on Texas and Louisiana. It submerged Houston and nearby cities, and closed America’s largest oil refinery. Harvey is designated as a one-in-1,000-year flood, but hotter sea temperatures are increasing the frequency of severe weather events. The US has recorded at least 16 one-in-five-hundred-year floods since 2010, with lasting effects. Following Katrina in 2005, the population of New Orleans includes 100,000 fewer residents, some of whom are still in temporary housing. In contrast to New Orleans, where the poor were disproportionately affected, Harvey has been an equal opportunity calamity, with newspapers snapping the city’s popular former mayor escaping from his flooded house in waders. The fate of everyone affected by these total catastrophes depends on two things: infrastructure and insurance. The former can determine survival; the latter upholds individual and corporate solvency. 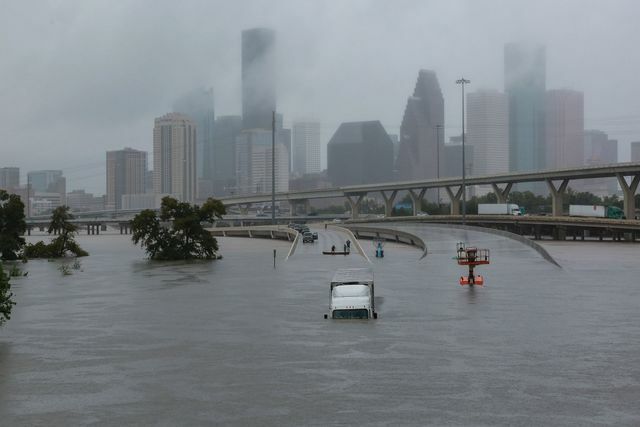 As news broke that a Houston-area reservoir was overflowing, insurers’ stocks dipped on expectations that their margins would be hammered by an influx of claims. Nevertheless, some 80% of Houstonian householders lack flood insurance. Survivors of this hurricane will receive federal assistance, projected at up to USD 125bn total, compared to estimated insured losses of USD 20bn. People in developing countries are more exposed to catastrophes, as government services and insurance coverage are patchy. On the Indian subcontinent, teeming cities like Dhaka stretch over the floodplain. Monsoons wreak havoc annually, and slum residents, who comprise the majority of the population, face a greater risk of death, disease and destitution. Environmental disasters could unfold with similar effects throughout the global south, from Lima to Lagos. Hurricane Harvey’s devastation was abetted by excessive reliance on public infrastructure by developers, who ignored federal codes to preserve wetlands in order to increase short-term profits. In countries that lack both infrastructure and uniform building codes, the threat of stronger storms is amplified. Recent advances in insurtech could enable faster recoveries through wider insurance penetration. In an era of rising temperatures, cover can’t come soon enough.